Just as a mechanic knows how to tune up your car to get it running smoothly and sort out the problems that need fixing. Having an affiliate mechanic to help you tune up your affiliate marketing business and getting you up and running smoothly is also a great idea. I know only too well from personal experience and believe me I started out completely clueless, with big dreams, full of hope, expecting to make money online today, only to become very frustrated and totally confused about how to build a business online. Too many people assume that affiliate marketing is some sort of get-rich-quick scheme and they fall for the promises of easy money for little work that is promoted all over the internet by scammers. Some think that by throwing up a couple of affiliate links or banners they can somehow become rich over night. Then wonder why they never make a single sale or make any money at all. The trouble is that as beginners we don’t understand all the steps that are required and we lose our way. At best, we only have a vague understanding of what we need to do. There are many things to learn how to do such as, how to get visitors, how to create a sales page, how to write good content, etc. Trying to make money online can be difficult. Most people fail because they give up in frustration before they ever put all the pieces together. But, it’s only tough if you ignore the advice of the right people and follow the advice of the wrong people, or you persist in attempting to reinvent the wheel. “Making it as an affiliate marketer will take time, effort, and a lot of work. The more you put into your business, the greater the success you’ll achieve. You should always be ready and willing to stick to learning, before expecting to spend your earnings”. Even though the system of affiliate marketing may seem overwhelming there’s a proven blueprint. An easy way to make money that cuts out all the pain and struggle and that’s exactly what I have for you here, in this book. So I wrote this book Affiliate Marketing Made Easy because it was the book I would have wanted myself while I struggled to try to put all the pieces together. Sometimes we think there is a ‘magic formula’ that is missing, but actually, it’s not that simple. It is the knowledge and experience that comes from hard work and dedication over time that has been proven to make people successful online. Just as my mentors showed me what mistakes to avoid and how to make real money with affiliate marketing. That knowledge allowed me to create a highly tuned affiliate marketing business and now with this book, so can you. In this book, I pass on what my mentors taught me, as well as everything else that I’ve learned along the way. So if you don’t want to struggle and go through the stress of wondering if you’re going to make it in the affiliate marketing business. Then having a guide, taking you through the steps, teaching you what you need to learn – would be a smart move. In this book and you will discover highly profitable ways to make money using affiliate marketing just as the market leaders do. There is also lots of great information, tips and useful advice and even specific information about how to fast track your affiliate business. (page 10) are tips for choosing an Affiliate product. (page 13) I show you a way to dramatically grow any WordPress site using the latest technologies, tips, and tricks. You can also use this as an affiliate product and start selling it to others. (page 21) I tell you the five reasons that stop buyers from buying and what you can do to turn prospects into buyers for whatever you are promoting. (page 22) I show where to get a Private Label Rights (PLR) Package that gives you not one, but 26 Top Quality eBooks that are ‘good to go’, giving you 26 Instant niches that are already created for you. (page 25) I introduce you to some software that can help you, market, sell, and even deliver your products online. 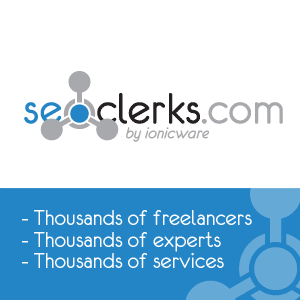 Ideal for many different types of business models; membership websites, email marketing, etc. (page 27) I share with you a number ways to get good ideas for niches. It has taken years to locate the resources that I have compiled for you here. (page 29) I expose a Niche Marketing Video Course of ten models that will show you how you can start to profit from niche marketing. (page 32) I show you how to find different ways to make money from Amazon so you can promote Amazon products with confidence and success – without any of the usual guess work. (page 36) I introduce you to a Blueprint for Getting Traffic to your Website, delivered to you every month. (page 39) I uncover a rock-solid, well-planned and systematic program to build your online business – that could make you $1,000 per month. If you get this book and decide to give affiliate marketing a try, the biggest challenge will be during the first few months. You will feel frustrated when you see that after all your work that you are only made a couple of bucks (if anything at all) and you will find yourself wondering if all the hard work is worth it. However, once you get past this point and stick with it, you will begin to get a few sales and if you stay committed a number of commissions you receive will start growing over time. Keep it up and eventually, you will start earning enough income while you sleep that you can permanently quit your regular job. Stop Thinking – Start Doing! 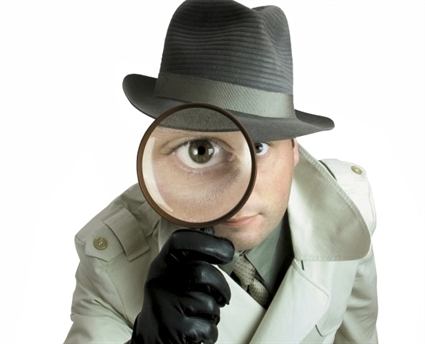 So stop thinking that somehow you’ll crack the code all on your own and you’ll make money by magic – You won’t! Starting out with the right expectations will be the difference between giving up and failing miserably or enjoying a great future that eventually sets you free. The first and most important insiders tip to all affiliate marketing is to expect that it will take some time for the money to come in. Slow and steady is far better than ‘flash and crash’. With this book, we are going to help you accelerate your progress and introduce you to some advanced techniques that will fast track your success. The time it takes to be successful (or not) is dependent entirely on how well you apply the lessons you learn and the commitment you give to the tasks at hand. If however you have a full-time job and are not able to devote a lot of time then this will have an impact on the amount of time it takes to achieve any sort of success. Just make sure that quitting your job and making a ton of money overnight isn’t your objective at the beginning. 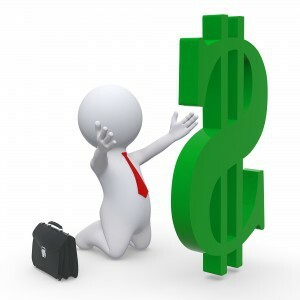 Initially, your goal should be to earn some supplementary income and learn as much as you can. If you’re looking to make money online, then undoubtedly, the best option for the widest selection of people is ‘Affiliate Marketing’.This is the online business model with the lowest barriers to entry that almost anyone can learn and master. It is also potentially one of the most profitable business models you can find online and certainly much more profitable than blogging for AdSense revenue, clicking ads and filling out surveys, or similar. How long you’ll need to work on it will depend on if you are a quick learner and become really good at affiliate marketing then it may not take much time at all. However quitting your job and thinking you’ll make a ton of money overnight isn’t a realistic plan. How much you are going to make is an ‘unknown quantity‘ because it depends on you and how well you apply yourself. Even though we cover this very thoroughly in the book and we show you how and where to get visitors to your site. This doesn’t necessarily guarantee automatic success. Understanding SEO, can help you get your website into the search engines so that people can find you is only a part of the solution. You need to know how to find and use the keywords that are already attracting traffic and this takes a little work. One of the biggest factors to making money with affiliate marketing is getting traffic to your site but even if you get a lot of traffic, only a fraction of that traffic may actually be buyers so it’s important to know how to selectively target your visitors. “So that’s why it’s important to follow the suggestions and recommendations and implement the things that you learn from the book”. As an affiliate marketer, you’re self-employed and you are working alone and to begin with, you need to put in a lot of hours for very little reward. Some people are attracted to the fact that you don’t have a boss, but perhaps the biggest draw is that once you’ve set everything up, your blog/sales page, your sales funnel, your affiliate accounts, you have a ‘passive’ business that can literally be earning you money while you’re sleeping. But make no mistake, affiliate marketing initially involves a lot of hard work. The idea here is that you put in the work up front so that you can sow the seeds in order to reap the rewards further down the line. Meaning, how well you do later, is all totally up to what you do today. As an affiliate marketer, essentially you sell products for a commission. This means you’ll be finding products and promoting them online and if someone buys them you’ll get a commission as a percentage of the sale. There’s little risk involved for you because you have not created the product and there’s nothing for you to ship or for you to stock. In some cases, you earn more than the product creator. The hard part though is in doing the selling. This is where the ‘marketing’ part comes in and your job from here is to find yourself an audience through a blog, a website, an e-mail campaign, advertising, or through social media; whichever method(s) you find the most effective. “This is again why you need to get this book”. This is why they say there’s a steep learning curve for beginners. But fortunately in the book, we’ll be looking at the tips, tricks, and the insider ‘secrets’ you need to really start earning a long-term steady income as an affiliate marketer. You need, to begin with the right approach, which includes mindset, and expectations. Don’t go into affiliate marketing thinking you’ll be a millionaire overnight because you’ll only be sorely disappointed. Understand that this is a slow and deliberate process and it shouldn’t be your only source of income in the beginning. The way you can get around this is to make affiliate marketing into a kind of hobby in addition to your regular job. As you build your audience, you’ll find it’s highly rewarding as you become an ‘authority’ in your area of specialization and by building a captive audience for your information you are creating potential customers for additional future products. As time goes along, this will accelerate as will your earnings as you continue to improve your lifestyle and if you have chosen a niche that interests you, you’ll also be learning about a subject that you are enjoying. It is possible to be highly successful with affiliate marketing. You definitely can earn hundreds of thousands of dollars from it and once you’re set up, the money can come in while you sleep. I completely understand that money (for some) and time may be an issue and because I feel you really need to get this book to put all the pieces together. I willing to offer you an ‘awesome deal‘ to get you started in affiliate marketing and because I selfishly want you to ‘want to do’ business with me, in the future… I can let you get my book for free. If you enjoyed this article “Affiliate Marketing Made Easy” please feel free to socially share and leave a comment below. So what are you waiting for? Accept my bribe and socially share and leave a comment. 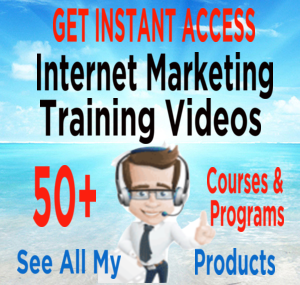 How would you like to access to over 300 ‘How To’ Video Tutorials to make your journey into the world of Affiliate Marketing a lot more enjoyable. No more, having to figure stuff out. No more, not knowing how to get something done. It’s all here for you. You own in-house training courses on everything you could ever want to know about making money online. And I not just talking about having one or two video training courses covering a few basic items. There is over 300+ up-to-date videos that will show you the way to get things done. I enjoyed the article. So I accepted your bribe to learn more about affiliate marketing. I shared on Google plus. hi Peter, just glad to find this post and the great resources with ton of info . Beats trying to fiddle on my own .. Looking forward to your ethical bribe ebook..
My name is Glenn I am a part of W.A and struggling with using word press and for 3 weeks I’ve struggled to just set up the frame work and add photos the video tutorials seem a little outdated so I see you recommend W.A but I’m having a hard time seeing the value I paid for a full year and I’m 2 months in and nothing to show for it. Would you have any advice for me ? Hello, Glenn. Yes it does take time before you will see positive results. If you joined WA and follow the program and implement what you learn then it probably might take you 6 – 12 months to complete the course if you spent only a few hours a week learning. Think of it like this. It takes around 10,000 hours for someone to learn a trade or job skill that others will pay them well for. So learning how to make money online is not an overnight thing. It takes time and effort and you need to learn before you will earn. How well or fast you learn is up to you. 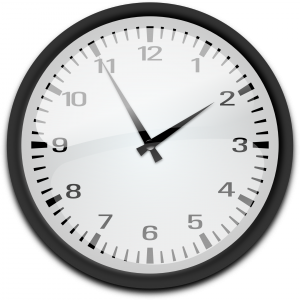 So in short there is no standard answer as to how long it takes because it depends entirely upon you. Prior to WA I had a dozen websites (landing pages) trying to get visitors and trying to sell something was a very frustrating experience. Once I started learning what WA was teaching and after I unlearned many things and really understood that it is ALL about providing quality information and helping my readers (not trying to sell them) then things changed for me. I really like your page here and I did put it in my folder, I seen a lot of things that can help me out. I’m new to all this and all the info I can find really helps.. This post is awesome. I learned a lot. Of course I am interested to read your book. I am thinking of creating an affiliate website as well. 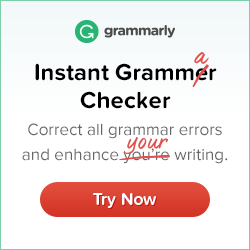 Is it possible to succeed without article writing? 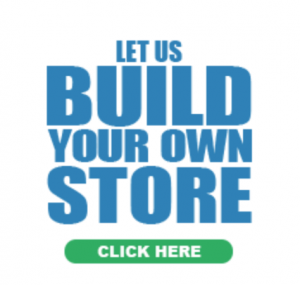 I mean by creating a website like shopify? These tips are very helpful for me. Thank you for your post. Affiliate Marketing Made Easy post is well written and gives the viewer the right amount of photos too. Style of writing was captivating for me. I was not going to leave site until I finished post. Guess what? I was rewarded at end of post with a free e book. Viewers love free things and it leads them to view affiliate programs on same page for your monetary gain. Love site—Good over all look and easy to navigate. Thanks for a awesome post ..i loved reading it.. The book looks like a winner and i will add it to my collection. And yes the mind set is very important. Just a question: if i want to sell an affiliate product would you say its good or bad just to focus on high end Products ? Hello, Jaco. It really depends upon your closing ratio. Because visitors are not buyers so if your closing ratio is 1:10 @ visitors per day that’s 50 buyers, a day, 1:100 @ that’s 5 buyers. Often times the closing ratio is more likely to be 1;1000 so that’s 0.5 per day. It depends upon the value of ‘sale’ (what each sale is worth) and the quality of your visitors (closing ratio) as to whether that is enough to make a living. The key I think is that you set up a sales funnel with a low value, high quality product at the beginning to drive traffic towards your high value end product. Initially you need to build a list and establish trust before people will be ready to buy from you. Hey man your site is extremely captivating and interesting, I made sure to bookmark it! I agree with a few points you made about how it takes a lot of hard work initially to build an affiliate marketing site, but after that part is done, you got yourself a bunch of passive income! In your opinion what was the hardest part of starting your affiliate website? I have to say that I started reading this material and it really pulled me in to what you were talking about. You are right that people give up to easily when doing affiliate marketing, due to the time involved. You keep saying the money will come in after some time, (and I have been hearing this also from other people) but can you tell me what sort of time frame it took you, were you working on this part time or full time? It seems your book is jammed packed with details that I need to keep myself going. Can’t wait to start reading it !! Do you ever critique someone’s website when asked? Oh my thank you for the free eBook Peter. I love reading your articles and I look forward to reading your book too. It is always nice to see such simple and to the point guidelines. I would have really enjoyed finding your website when I was a beginner starting out in the online world. Hello, Lynne Thank you for your comments and I am pleased you liked the book. It’s one I wish I had access to when I first started out because as you know there are so many scammers out there and too many people think there is a magic formula that they are missing and they fall for the promises of the easy money, one click software, instant wealth answers, but actually, itâ€™s not that simple. It will take time, effort, and a lot of work. The more you put into your business, the greater the success youâ€™ll achieve. You should be ready and willing to stick to learning before expecting to spend your earnings. This really the message I want people to get. The book will put people on the right rack and together with Wealthy Affiliate success online should’nt be difficult. There is so much to learn, I know that I didn’t have anyone to direct me when I first started and I continuously failed time and time again, I sure wish I had found you sooner. So, this book is setup as a blueprint, is it like a walk through where you explain what to do in every facet along the way or just what we need to do? I saw that you said something a program that ‘could’ make you $1,000 a month, is it possible to earn more than this with a website? I like the idea of being my own boss, but I find it scary that I have too put in a lot of work for no immediate reward. I suppose it’s best this way seeing that we can have that beach lifestyle one day. Is this one of those severly under paid now but severly over paid later kind of deals? Also, am I able to promote my network marketing companies products following your book? Sign me up. 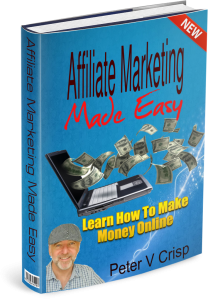 I would love to receive your “Affiliate Marketing Made Easy” e-book. I think I need to learn more. I have started a website targeting shaving niche. Your e-book really captured my interest. 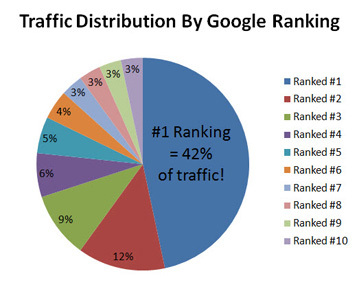 I really love to know more about Getting More Traffic. And of course, if I can, I would love to dive in Private Labelling. My wife is thinking about having a baby clothing business. Hello, Ariefw A copy of Allifilate Marketing Made Easy is on it’s way to you so look out for it in your inbox. Hello Peter! You have some great advice here and I’m sure a lot of people will get a lot of value from this. Also congratulations on producing this new Ebook, it looks like a very good insight into getting started as an affiliate. I will of course share your link. What you say here is very true, there are a lot of people like you said that expect results very quickly. Unfortunately the world of affiliate marketing doesn’t work in that way! I started many years ago and it took me months to make my first sale! However I’m really glad that I stuck with it! You are so right when you say that it is not a get rich quick solution to do affiliate marketing. I have been building websites for a while and am still not making enough to live on, but as time goes my income grows providing you keep working on your business. Well done for creating a book to help people get started. How long does it take to write a book such as this one? Peter, you have impressed me over and over again with your outstanding writing. Its amazing how your a professor at a university in China, you must be incredibly intelligent. I think I will go through and buy the book, I have an affiliate website myself and this would benefit me immensely! I hope I can increase my weekly income to 2 grand a week instead of one! 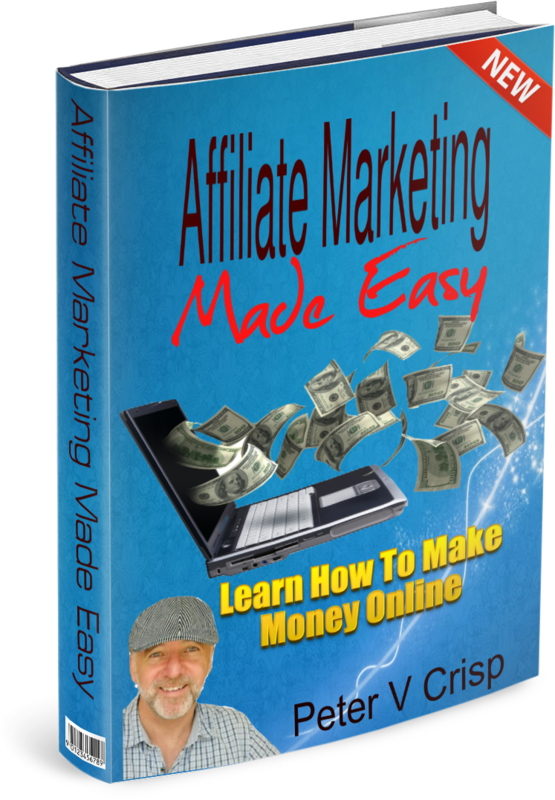 Hello, Jose I will send you a copy of the book “Affiliate Marketing Made Easy” and you should get a ton of ideas and resources to help you achieve that goal. Thank you so much for your comments. 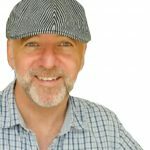 Having recently started trying to get into affiliate marketing I am starting to realise that there is a lot more work involved than I originally thought. It’s not the effort that concerns me it’s the worrying idea that all that effort is in vain if it’s not focused in the right direction, that’s where I think a book like this could really help. The question I have is, in the early stages when you are not making sales how do you measure what you are doing is moving you in the right direction? Excellent advice and information, Peter. I really like your little gems sprinkled throughout the article such as “stick to learning before expecting to spend your earnings.” and “slow and steady is far better than â€˜flash and crashâ€™”. and “sow the seeds in order to reap the rewards further down the line” It is so true that the expectations need to be realistic and patience is required to make Affiliate Marketing a success and yet at the same time it is a very challenging and exciting venture. I’m just in my early stages of the journey and working hard at sowing seeds, but feel confident of it paying off with a nice harvest a bit further down the track. Thank you. I couldn’t agree more that having the knowledge and experience is vital to succeed in the affiliate marketing. I only started last year and I’m still learning every day, haven’t made it big yet but hopefully with perseverance, that break will come soon. I started my website with an open mind, knowing that it won’t make money overnight and the sooner people know that, the better their chances of success. Action and continuous learning is the only way forward, Great post, thank you. Congrats on your book peter. I believe it’ll be an excellent read for people wanting to know more about and get started with affiliate marketing. It can be intimidating and overwhelming and it’s nice to see an organized explanation on the subject. I wish you the best luck in your future successes! Affiliate marketing is for sure the way forward when it comes to making a business online. There are of course lots of opportunities available and the affiliate programs that are available are countless. 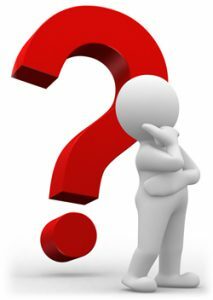 I wanted to ask something though, as an affiliate marketer, is it better to have knowledge and experience with what you are selling/promoting? Okay I understand as an affiliate you are promoting other people’s products and taking a commission from any sales you make, but do you find people are doing this without trying the products for themselves first? Great information here and a great resource for education. When I started out last year, I was so clueless on how to actually make money. I then heard of affiliate marketing and with nothing else to try, I gave it a go. I can say that it has made my life a lot better. I am not going to say that my life has completely changed and that I am a millionaire because I am not, but I have gained new skills that I use to teach others and I make money from that. What were your first thoughts when you heard of Affiliate Marketing, Pete? Hello, Anthony Ha ha Yes I started out completely clueless, with big dreams, full of hope, expecting to make money online overnight, only to become very frustrated and totally confused about how to build a business online. Now things are much much better and is why I am helping other to succeed as well. But make no mistake, affiliate marketing initially involves a lot of hard work. The idea here is that you put in the work up front so that you can sow the seeds in order to reap the rewards further down the line. Meaning, how well you do later, is all totally up to what you do today. Your video is easy to watch and explains the things you need to watch out for, and what you have to do to be successful. I think it would make people very curious. You invite people to look at a genuine site being WA. showing them what they have in front of them to be successful online.